Why You Need This: Ignition trouble shooting is a big part of getting your vintage Honda up and running properly. If you have swapped out the points and condensers on your Honda CB350, CL350 Scrambler, SL350 / CB360, CL360 Scrambler, CJ360 / CB450, CL450 Scrambler or CB500T and you are still having ignition problems it may be time for a pair of new ignition coils. Inevitably over time the coils get old and produce weak spark (dull white to yellow spark versus a bright blue / purple), become intermittent or just stop working all together. Fresh coils will yield a strong spark and make kick staring your Honda effortless. 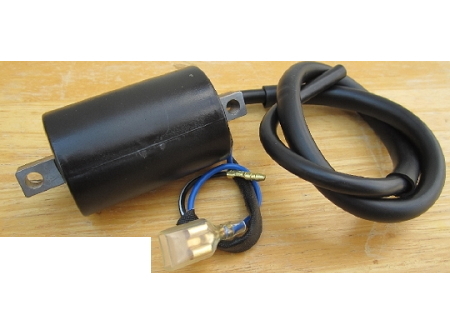 These reproduction ignition coils will fit the stock mounting brackets on your Honda CB350, CB360 or CB450 with no modification. Each coil includes a non-removable spark plug wire; coils are sold individually, two are needed per bike. 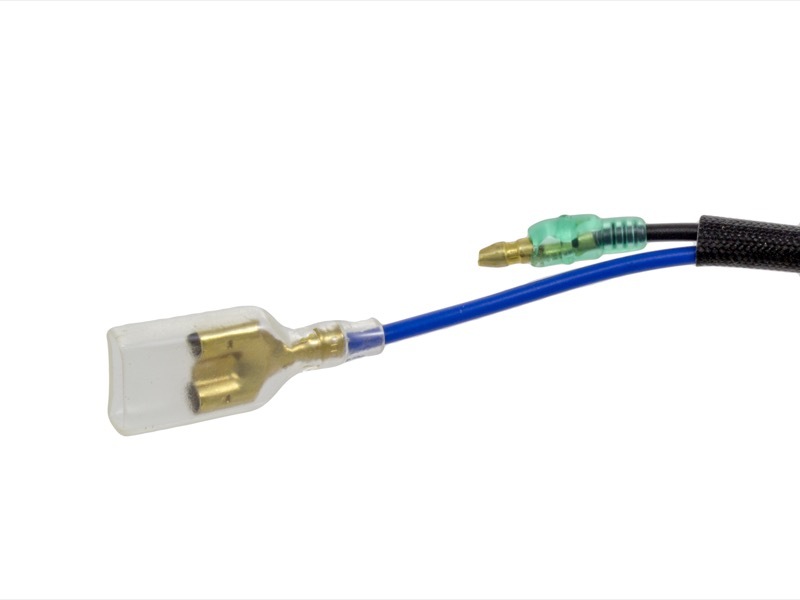 If the ignition coils on your Honda are working fine but you still see some timing issues, try one of our ignition rebuild kits, as well as a new set of spark plugs to return to top performance. 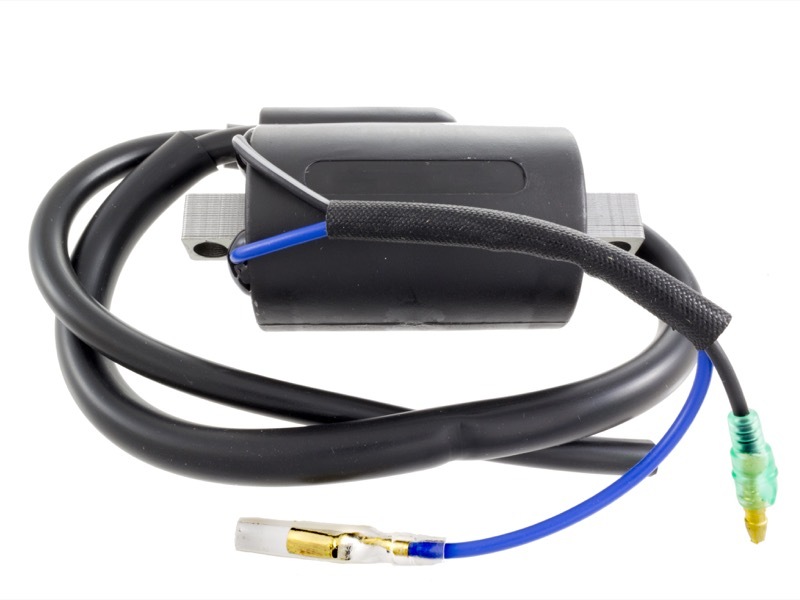 Our universal ignition coil is also a budget alternative. Installation Tip: Disconnect the negative terminal on your bike's battery before you start working to avoid shorts and other bad stuff. 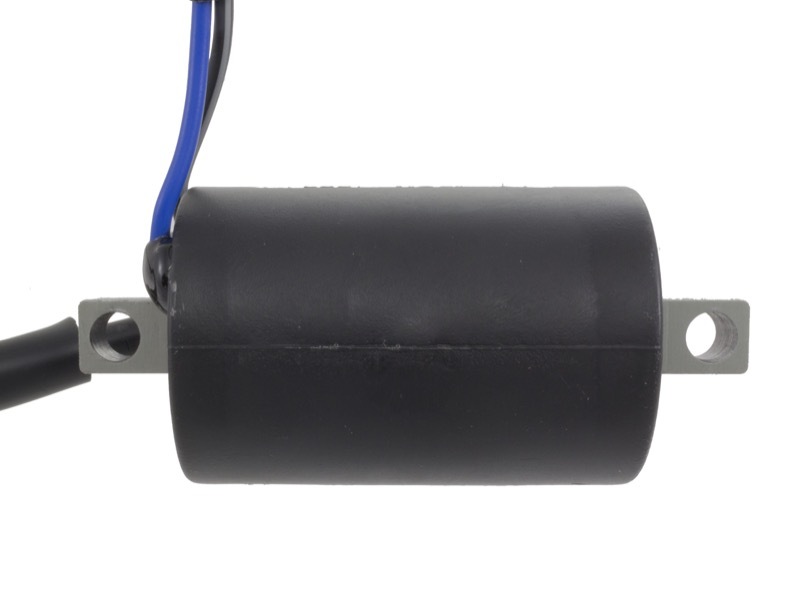 When installing, make sure the connections to the points and the 12 volt power supply are clean and corrosion-free. Blue wire goes to the points, black is to 12 volt+. The spark plug boots thread into the end of the spark plug wire with a threaded connector. Make sure that terminal is threading securely into the wire itself, and not off to the side into the insulation. *Note that our "regular" spark plug boot can work on the Honda CB450/500T but it will be snug. We suggest the angled spark plug boot for a better fit. A: Both coils are identical. They should bolts on in the same exact manner as the original Coils for your bike. Bought these along with new points, boots/caps, and condenser. Needed to replace all of my electrical parts as my cb360 has been sitting for a long time and having trouble getting spark. After hooking these up and timing my new points...boom! Started with a wonderful roar and purred. I love the clean look as my old coils were corroded and looking pretty bad. These were an easy replacement and took little time to install. I am especially pleased with these coils. Others that I saw available did not fit the factory bracket, but these bolted right on, and the price was right, which was important to me. perfect swap out for both of my coils no hassle no adjustments. simple swap and go! Got the new coils + condenser just a few days after ordering them and got them into my CB350 right away. They worked perfectly and was just what I needed to get on the road again. Installed two of these coils and the angled boots on my 73 cb450 and talk about some great spark! Bike idles, cranks and runs like a champ now!